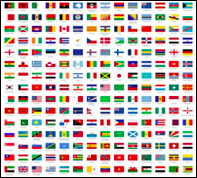 The United Nations is involved in the development and implementation of public policy across its 193 member states. It influences administration by advocating and negotiating benchmarks, incentivizing innovation and disseminating good practices. As a noteworthy example, the UN supports the development and implementation of freedom of information laws (FOIA) that uphold the public’s right to access information recorded by public organizations. This right is documented in UN General Assembly Resolution 59, authored in 1946, and in Article 19 of the Universal Declaration of Human Rights, authored in 1948. Democratic theorists have recognized that citizens’ use of and access to government information is fundamental for their participation in governmental and political processes. Democracies have, therefore, moved to pass access-to-information laws as part of the transition toward greater openness and transparency and henceforth the facilitation of citizen participation. These laws, commonly called, “Right-to-know laws,” open up government to public scrutiny and arguably enhance government functioning. At the beginning of the twentieth century, however, few countries had FOIA. With attention to citizen participation and civic engagement growing in countries transitioning into democratic government, and to support achieving the Millennial Development Goals (MDGs), the UN identified access to public information as an important and essential step in that process. The public, including civil society organizations, needed to be informed about various aspects of government in order to meaningfully participate in democratic practices and in decision-making about matters that would impact their lives. According to Feinberg, in his chapter entitled, “Open government and freedom of information. Fishbowl accountability?” in the Handbook of Public Law and Administration edited by Phillip E. Cooper and Chester A. Newland, there was no consistent government-wide approach to FOIA issues. Interpretation of FOI laws is often complex and varied and is left up to administrative and judicial bodies. At the fulcrum of decision-making in information policy are public managers. Public managers are responsible for exercising discretion as they implement, manage and shape this policy. Administrative procedures needed to be established to facilitate access to public information and the UN supported a forum for their development, and also for disseminating good practices through their publications, such as the World Public Sector Report (WPSR). The year 2015 was designated as the target for achieving the MDGs and also serves as a checkpoint for accessing the implementation of FOIA across the UN member states. According to WPSR, by 2015, 62 percent of the UN member states had recognized the right to access public information in their constitutions. Numbers varied in the different world regions: 86 percent of the countries in Europe, 63 percent in the Americas, 45 percent in Asia, 19 percent in Africa and 14 percent in Oceana. Fifteen percent of the countries provide information about FOIA in multiple languages, and include appeal mechanisms for cases where withholding information, though seen as legitimate, can be challenged by the public. In most countries, administration provides a schedule for responding to requests for information. 61 percent are able to deliver within 20 days. The UN has also influenced the development of Data Protection Acts (DPAs) in its member states and related administration. DPAs recognize that as important as freedom to public information is, the right to access some types of information would be detrimental and therefore should not be allowed. Rather, it should be safeguarded against public access. This includes information related to privacy and security. According to the WPSR, 2015 by that year, 82 of the member states had DPAs, including classification of specific types of data to which open access would apply. So far into the new millennium, the UN has influenced administration further through its public service awards program that provides incentives for innovation in public administration. Winning an international award has inspired high levels of participation annually. Over 3000 cases have been nominated in categories that include: fostering participation in policymaking decisions through innovative mechanisms, improving transparency, accountability and responsiveness in public service and improving the delivery of public services. Many of the award-winning innovations incorporate the use of technologies to achieve efficiency in public administration and more effective outcomes by expanding outreach. In conclusion, the UN’s work has been enhanced by its online network that enables its member states to share information and collaborate in knowledge building: United Nations Public Administration Network. Authors: Lois M. Warner, Assistant Teaching Professor, School of Public Affairs and Administration. Deborah Mohammed-Spigner, Assistant Professor, School of Public Administration and Criminal Justice, Kean University.